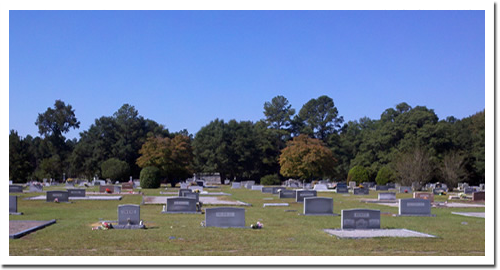 Ott Cemetery is located in the city limits, on the west side of Branchville off of Hwy., 78 towards Bamberg. This beautiful, rustic cemetery has served families, the town of Branchville, and the surrounding areas for more than a century. The cemetery is located on eight acres of land, with plenty of room for development. Plots can be purchased by calling Ott Funeral Home. Some History: The cemetery first started as the family burial ground for John D.D. Fairey and his family, in the 1800s.The present cemetery was added to the family cemetery and was reserved for three families: Faireys, Simpsons, and Chartrands. A number of years ago, the land was divided between the surviving families, and a few lots were sold, besides the graves that were marked, and the others unmarked. In November of 1893, a group of members, or stock holders, as the case may be had the cemetery charted as The Branchville Cemetery. A few years after this the land was purchased by Louie P. Ott and is now the Ott Cemetery. As of today the cemetery incorporates over a thousand graves, most marked, but some not, that are in the older section. Such as some unmarked graves near the Fairy family mausoleum that consist of railroad workers that were killed, and names who have been forgotten. The cemetery also contains the remains of the first game warden in the state of SC to be killed in the line of duty, Mr. L. Presley Reeves, just to name a few. The cemetery is a valuable part of Branchville history.